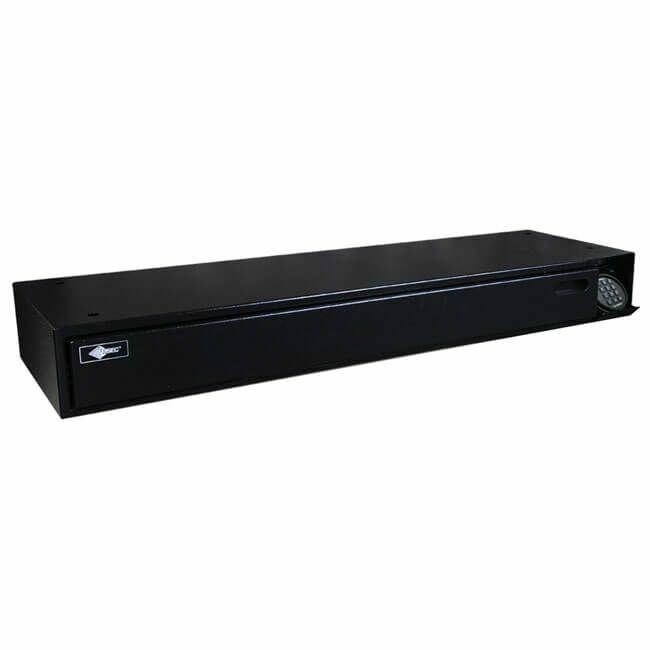 Amsec DV-652 Defense Vault - Amazing Price! 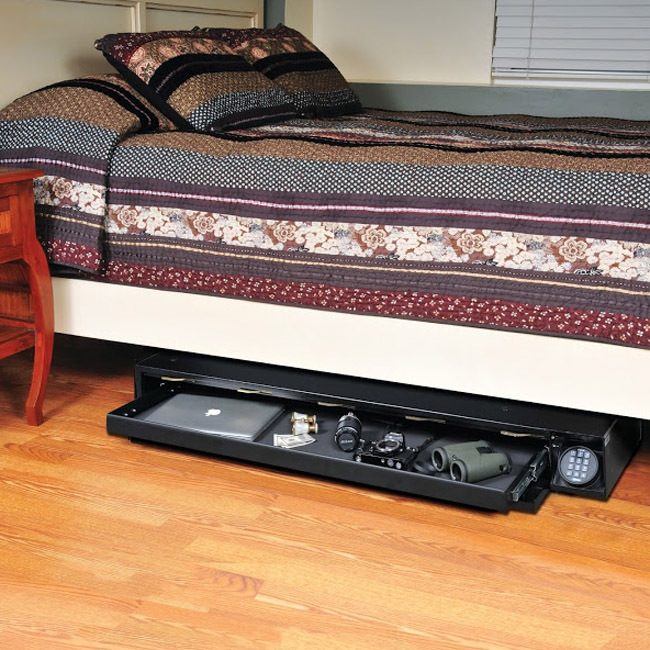 Ever wish you could store a rifle or shotgun underneath your bed, yet still have it locked up and out of the hands of your kids? Imagine the peace of mind you'd have knowing your firearm is within arm's reach while you're sleeping. This is exactly what our friends over at American Security (AMSEC) were thinking when they developed the Defense Vault DV652. 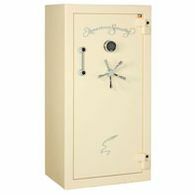 This safe is truly engineered to the highest quality specifications and designed with the safes application in mind, unique to comparable under the bed safes. 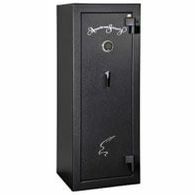 The first feature most notable about this under the bed safe is AMSEC's ESL5 Electronic Lock. This is actually the same lock they put on their high security gun safes, and it actually illuminates when touched allowing you to see the numbers in the dark. This is currently the only under the bed safe with an illuminated keypad. 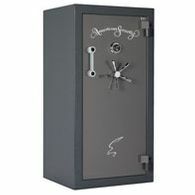 Once the correct combination is entered, you can now slide the five-point locking bar to open the door of the safe. Once the door has dropped, you can now slide out the foam-padded tray. 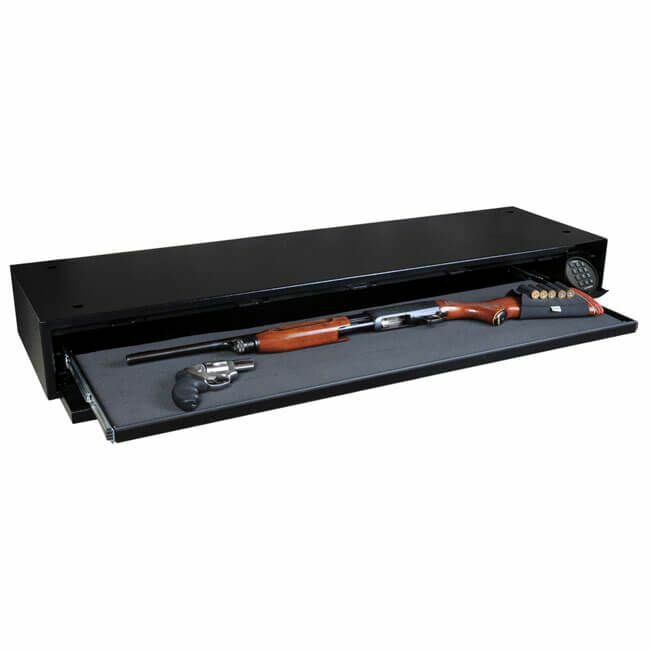 This tray is designed to store your favorite home defense weapon without fear of it getting scratched. 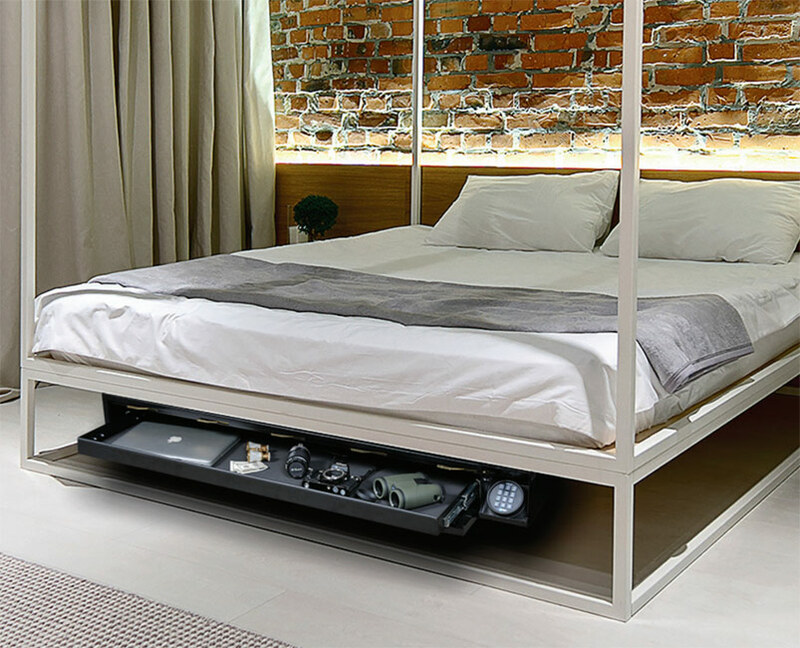 Weighing in at 74 lbs, the fourteen gauge steel body proves this safe as the heavy duty option when it comes to home defense under the bed weapon storage. The four pre-drilled mounting holes make this safe super easy to mount and all mounting hardware is included with every purchase. 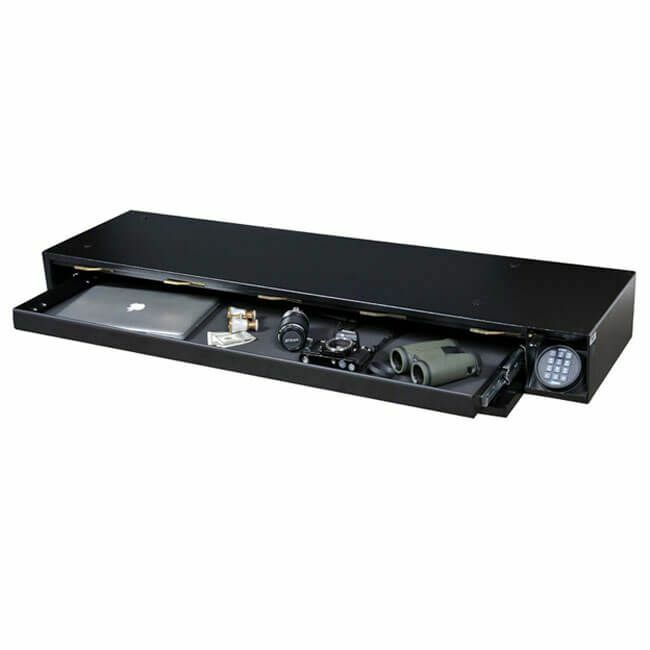 If you're looking for fast access, secure weapon storage in an under the bed style, the American Security (AMSEC) Defense Vault DV652 is the safe you've been looking for. 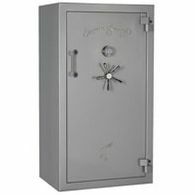 You can also store handguns, money, and other valuables in the Amsec Defense Vault (DV652). For that quick access to your rifle at a moment's notice, the Amsec DV652 fills the bill!